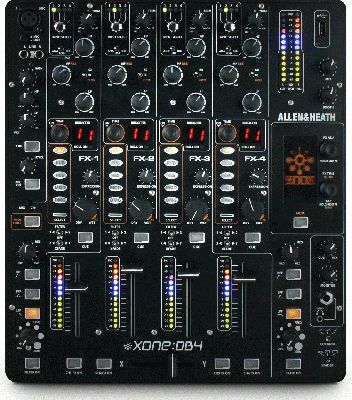 The Xone:DB4 is a truly ground-breaking mixer and by far the most advanced product that we have designed. 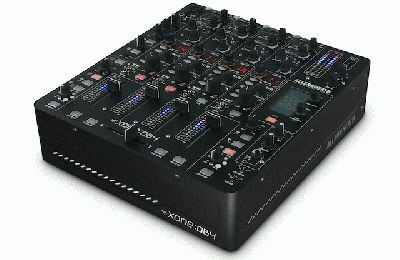 Every feature has been meticulously researched with a view to offering DJs ultimate creativity. 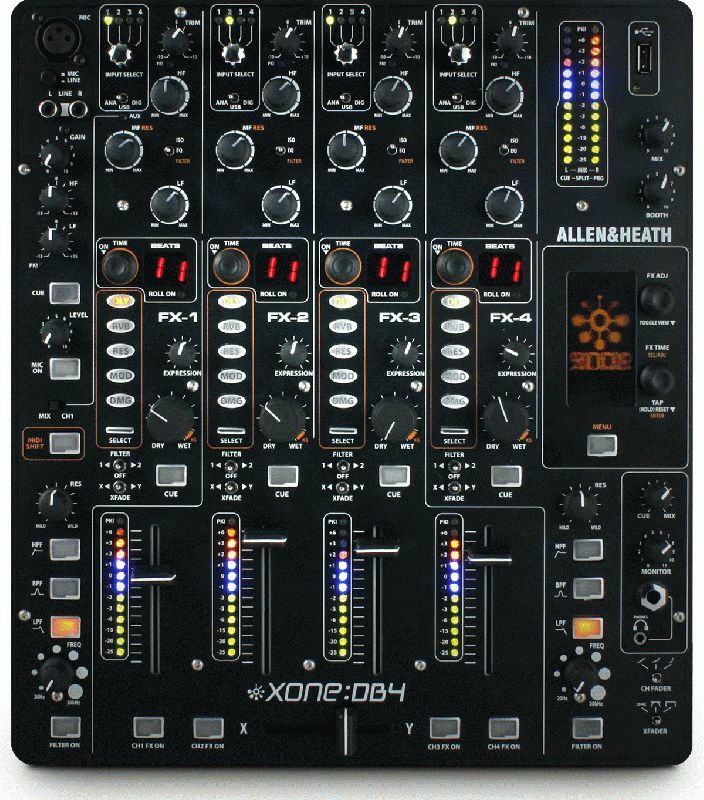 Based on the iLive pro-touring FX system, we developed FX algorithms with BPM conscious parameters and tight spectral control, customised to perfectly fit the DJ environment. As the loops and FX are automatically synchronised to the tempo of the track, it is very easy to build some amazing grooves and soundscapes without problems of latency, low fidelity and the general hassle often associated with using software and laptops. The icing on the cake is the flexible input matrix, where any audio source can be selected on any or all of the channels. Different processing can be applied to the same track on separate channels and you can fade between them, or a phrase sampled in the looper of one channel can be added to the mix later in the track. Our digital design team has done an incredible job to ensure that this is one of the most innovative and exciting DJ mix tools to date. Each channel has a built-in looper, with selectable loop length from 1/16 beat to 4 bars.The :DB4 will always record the full 4 bars, so the loop can be expanded or shrunk at will. Each music channel has a 3-band EQ that can be configured as standard asymmetric EQ (+6/-25dB), Isolator (+6dB/OFF with a 24dB/octave slope), or reconfigured as a High-Pass/Low-Pass filter system with adjustable resonance. EQ knob pointers change colour to show which type of equalization is active.